“No Rest for the Wicked” Who Said That? There are many pithy (concise and forcefully expressive) sayings that are used in everyday conversation. Many people use them, but most people have no idea of their origins. It should be no surprise that many of these sayings are found in the Bible. They long pre-date the time when the sayings came into use. This shows how the Bible has always had great influence on man’s life, relationships, and even everyday language. The fact that so many of these saying are still in use today underscores the timeless relevance of God’s Word. The book, Who said that? 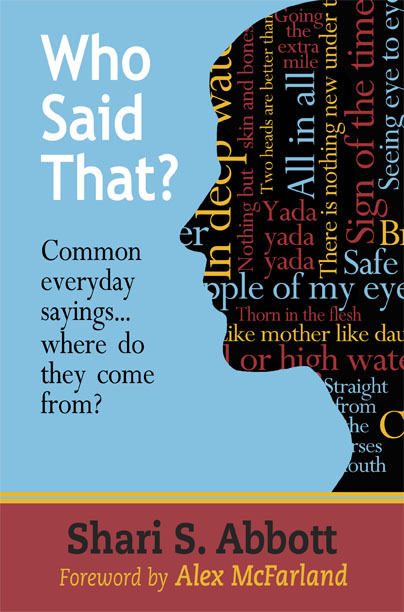 Common everyday sayings…where do they come from? shares more than 140 sayings. 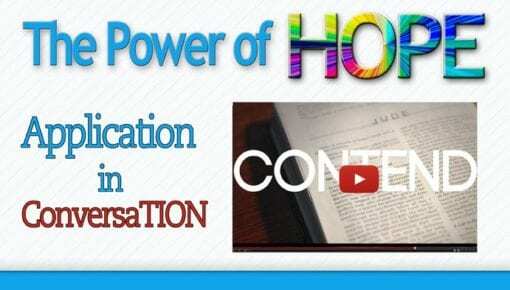 Be ready to share the biblical origin and turn the conversation to one of spiritual importance. Use the biblical sayings from Who said that? 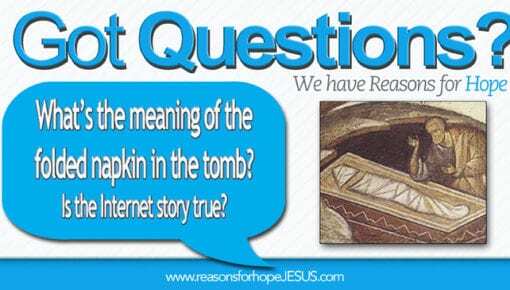 to start conversations about Jesus! This comes from the words of the prophet Isaiah. The saying has a literal meaning that the wicked will not find peace or that they will be tormented. Isaiah 57:20-21 But the wicked are like the troubled sea, when it cannot rest, whose waters cast up mire and dirt. There is no peace, saith my God, to the wicked. 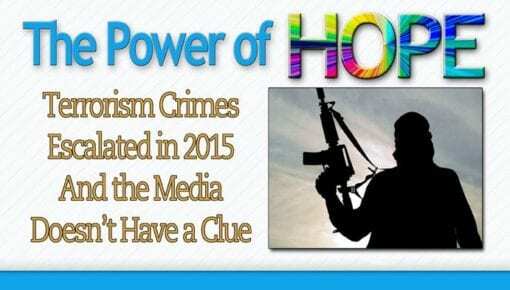 Read More: Who Said That? "Seeing Eye to Eye" Who Said That? "Shout it from the Rooftop" Who Said That? “No Rest for the Wicked" Who Said That? “I Wash My Hands of It” Who Said That? “My Right Hand Man” Who Said That? “Hold Your Tongue!” Who Said That? “A House Divided Cannot Stand” Who Said That? The Book Who Said That? It's easy to start conversations, but it's not easy to make them about matters of spiritual importance. Jesus commissioned us to tell others about who He is and the saving grace He offers. Starting those conversations isn't always easy. So we must learn to listen for opportunities to "turn-the-talk." 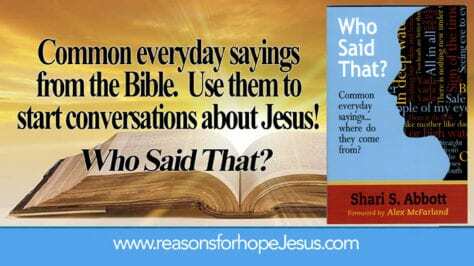 Hearing a common saying, or using one as you speak, opens the "door" to share the origin of the words in the Bible and to talk about the importance of the Bible and the Person who wrote it! Who Said That? 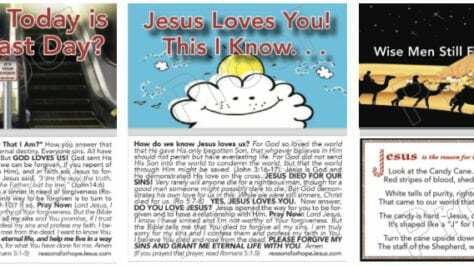 can also serve as a type of “tract” for your non-believing family and friends. It’s simply a look at the origins of sayings that we all use...until you get to the last few pages. The book closes with the saying, “Yada, yada, yada,” which means “you know, you know, you know.” The statement is then made: “God knows [yada] you” and the question is asked “Do you know [yada] Him?” The question is followed by a gospel presentation and an invitation to repent and trust in Christ, making this book a simple way to share the gospel with an unsaved (and often uninterested or unwilling-to-listen) friend. 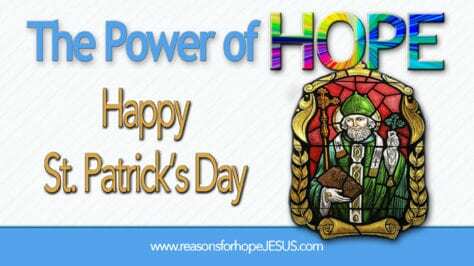 All proceeds from products at the store go to support the ministry outreach of Reasons for Hope* Jesus. 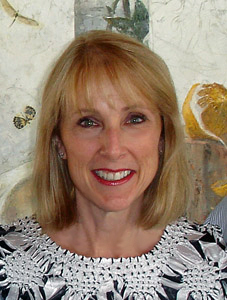 About the Author: Shari Abbott, executive director for Reasons for Hope* Jesus, is an avid Bible reader and teacher. She is passionate about equipping and encouraging Christians to know Jesus better and to love Him more. Shari is the author of the books, Why the Butterfly? A Book About Rightly Remembering, Remember Me – A Course In Rightly Remembering, Who Said That? 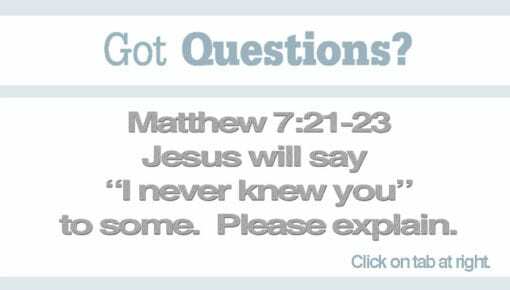 Common Everyday Sayings, Got Questions? 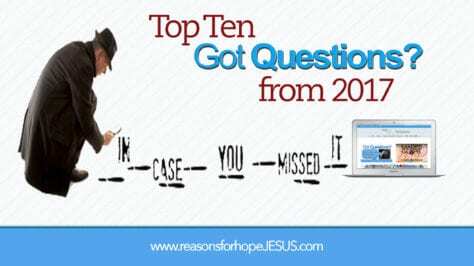 We have Reasons for Hope (Reasons Books 1, 2 & 3), Fun with Shuns (biblical words ending in -tion) and How to Witness to Jehovah’s Witnesses, and Hear, See, Speak & Post No Evil (available at the Reasons for Hope*Jesus store or ebooks at Amazon). 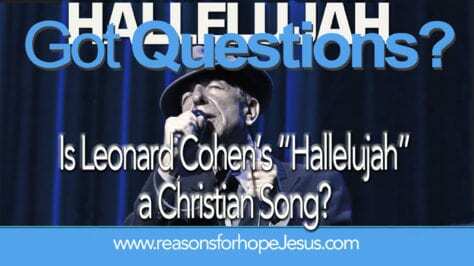 Are We All God’s Children? 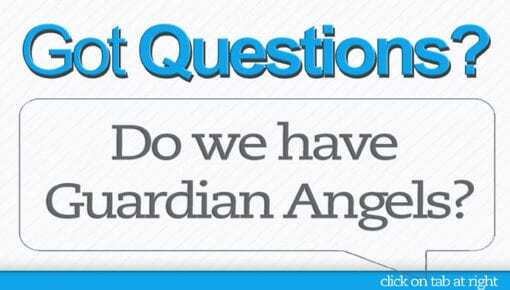 Do we have Guardian Angels? Is Hell Real? What does the Bible say? 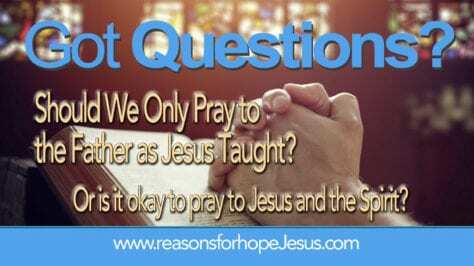 Should We Only Pray to the Father as Jesus Taught? Or Is It Okay to Pray to Jesus and the Spirit?